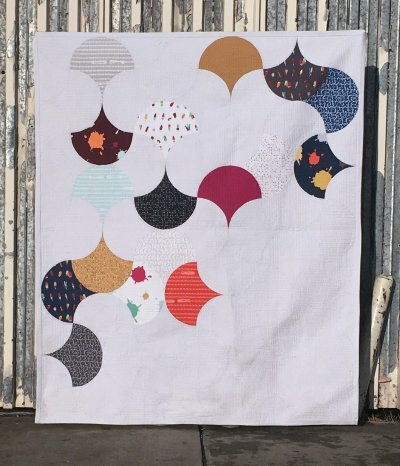 We are excited to have Latifah Saafir teach her newest quilt pattern, Clam Toss. The Clam Toss Pattern reimagines the Glam Clam in new directions and layout possibilities. Latifah is one of the best teachers ever! 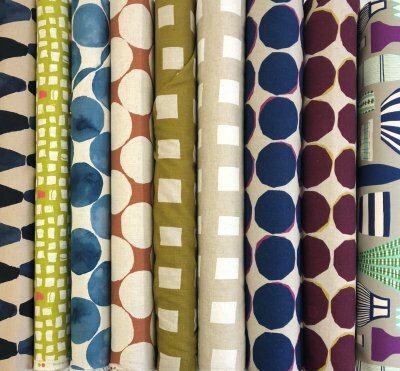 Pattern Primer is the first step to working with garment patterns and is now a prerequisite for our garment classes if you are a new student. This class will demonstrate all the steps you need to know for working with garment patterns and cutting out fabric. Pattern Primer includes 1 hour of studio time to cut out your first pattern. Take your piecing to the next level with Half Square Triangles. This versatile block is one you again and again. Pattern included. We also received tons of beautiful fabrics from Japan that would be great for garment making. We've got fun linen blends and canvas fabrics to jazz up your wardrobe. Check out our Japanese Imports. Pattern Primer is now a prerequisite class to all our garment classes. 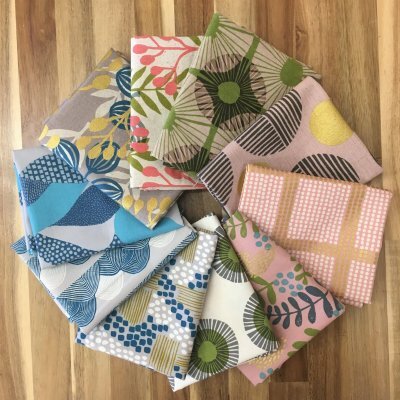 This class will demonstrate how to work with garment patterns and allows for 1 hour of studio time to cut out your first pattern previous to a garment class. Note: If you have taken a garment class with us in the past, then you do not need to take Pattern Primer. 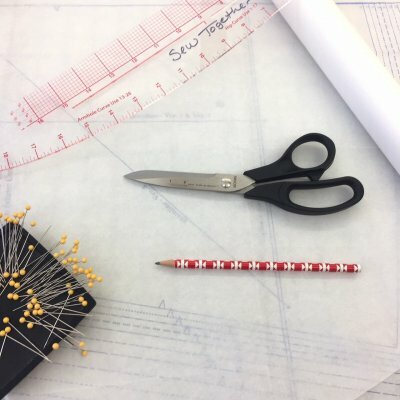 However, in future garment classes, we ask that you have your pattern pieces cut out prior to class where we will focus on sewing construction. 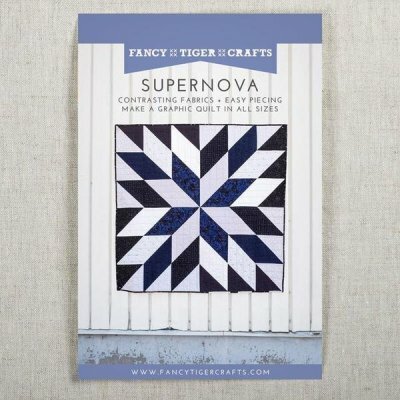 The Supernova Quilt class is for those who took our Beginning Patchwork class and want to make their next quilt or anyone looking for a great quilt top pattern. This large scale Half Square Triangle Star comes together quickly for a great graphic quilt. Studio Time is $10/hr and allows access to cutting table, sewing machine, iron and ironing board, and design wall. Studio Time requires calling the store to schedule a time and that you bring your own tools and sewing kit. It is independent and self-directed sewing time. We are happy to answer quick questions like how to thread our machines and or wind a bobbin. Studio Time with Support is $25 for 3 hours and is a designated time and space to come in to work on projects that need clarification, problem solving or cheerleading. It allows access to cutting table, sewing machine, iron and ironing board, and design wall. It requires that you bring your own tools and sewing kit. This is a semi-independent and fluid work time. It is not a private one on one class. You must have knowledge about your particular project and materials, but need support or clarification/interpretation/opinion of instructions. Private Lessons are $45/hr and requires calling the store to schedule a time. If you do not have any knowledge about a project or technique or how to execute it, then you need to schedule a Private Lesson. Some of you already know that tomorrow is my last day (for now, as Victoria puts it). Wanderlust is calling and I am taking time to travel and gather creative energies. This past year I have met so many amazingly creative and wonderful people that have walked through the door. It has been an absolute blast getting to know you all and a pleasure conferring, teaching, and sewing with you. Keep Making. I'll see you all down the road.